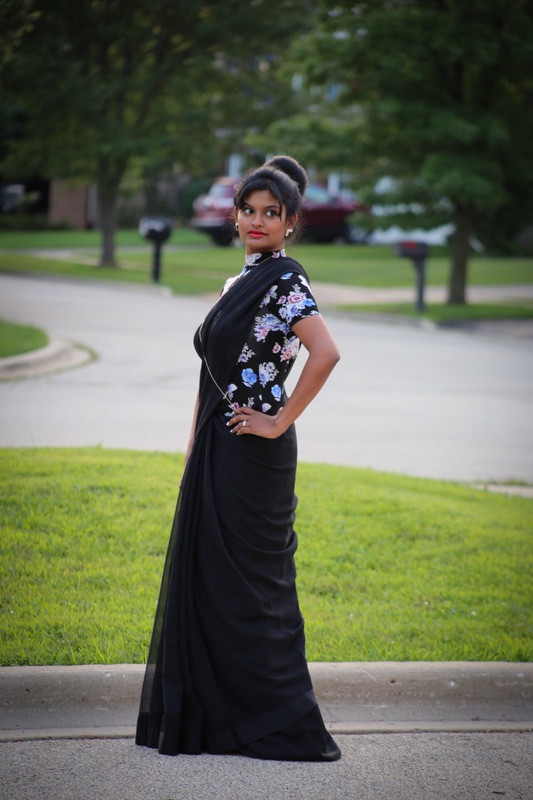 Today’s blog is something experimental I have tried on a saree. Of course why not , fashion is something you can try different styles with in your comfort zone. I love to wear sarees ever since my childhood . 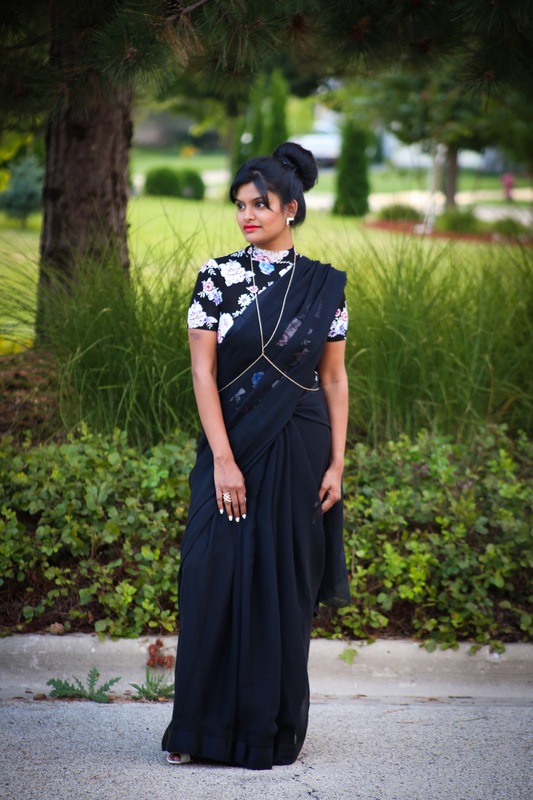 I used to ask my mom “mamma how old should I grow to wear a saree” my mom used to laugh at me . I always used to admire how my mom wraps it and used to follow all designs and fabrics what she used to wear . Not only the patterns and designs , I always used to love the plain colors with different fabrics. Even now I have different plain color sarees in my wardrobe with which I pair different blouses in different styles. 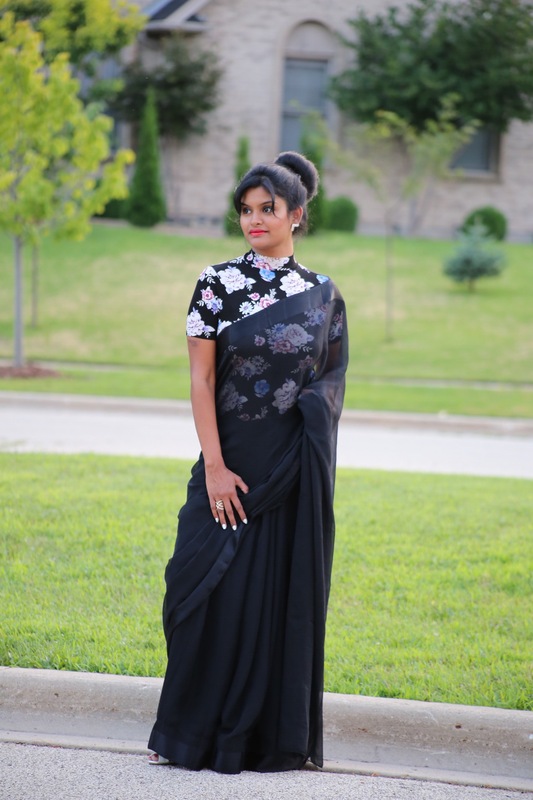 I always mix and match sarees and blouses and try out different color blocks which is absolutely fun ! Yes ! , Bodysuit , first lets talk about the bodysuit , I found this cute one in Forever21 while I was just wandering around the store , I bought right away it as I really loved it . Many times girls find their stuff in their window shopping , do you agree ? 😜😃 I usually wear Body suits with shorts and skirts. I feel this is a versatile piece if you have many high-waisted shorts/pants like me, as they will be very comfortable. Normally when you wear crop tops with high waisted shorts or pants, your waist shows up a little , if you are a person like me , a little uncomfortable like that , then bodysuits are a great relief and also so trendy. 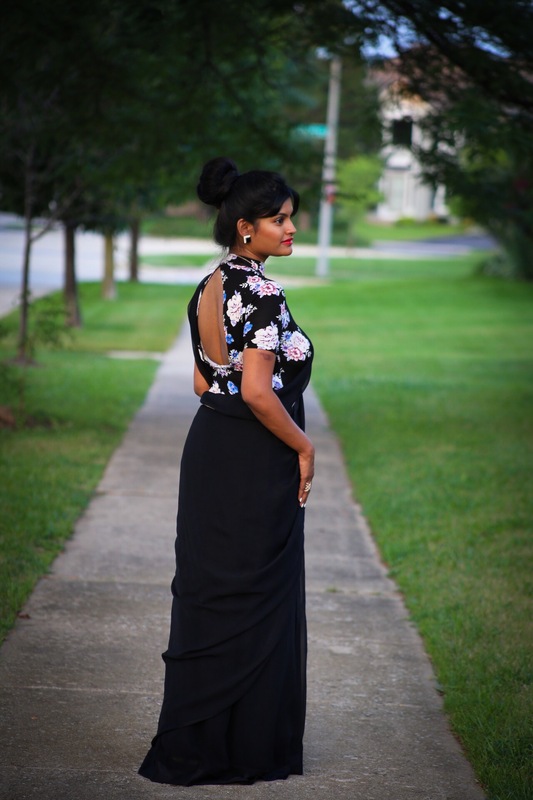 As they come in different styles like off-shoulder or cold-shoulder , lace , floral and high-neck . 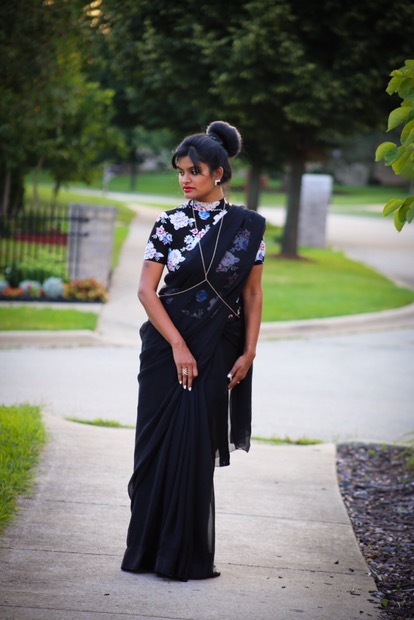 So this trending fashion came up in India with sarees , many designers are using long blouses not attached at the bottom though , with a collar or a high neck , or a laced blouse with a saree. This is now trending fashion in India . Many top designers in India have their signature designs coming up in this pattern. Many Indian film actresses showed their charm in these styles ! So I have used this flower body suit to pair it up with a black pure chiffon saree, which is almost like the same style , but not the same. 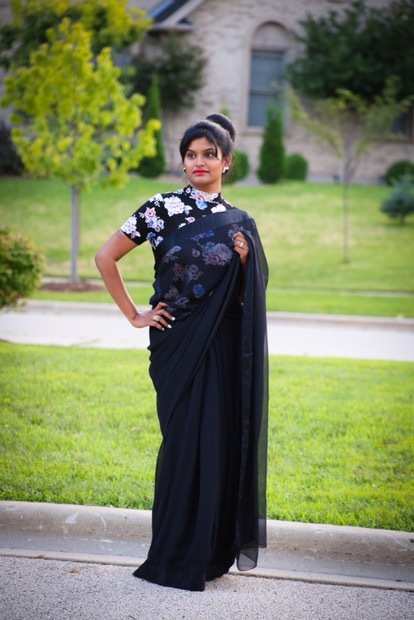 I perfectly liked this idea and was amazed how well it blended with the saree, making it a unique style. 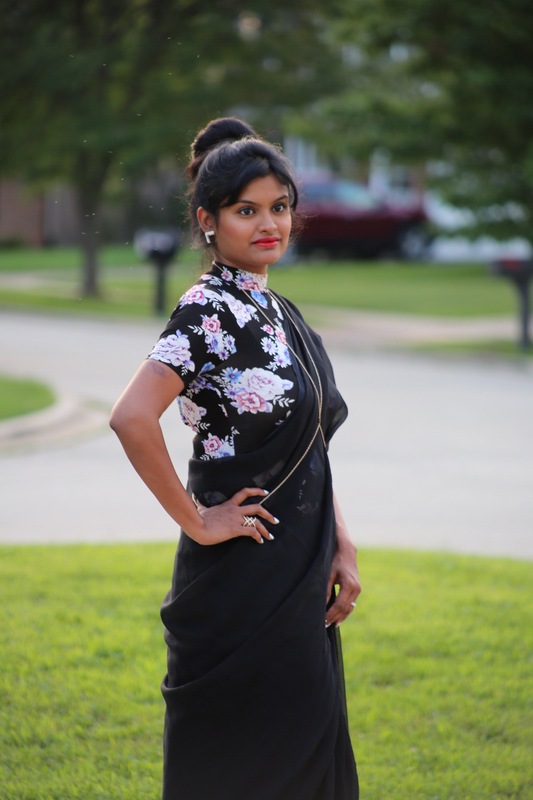 As it is a high collared piece , jewelry might not suit well for this style , so I thought of a sleek body chain which runs through my attire , but not really dominates my saree. I bought this chain from eBay for a dollar ! Yes , just a dollar! 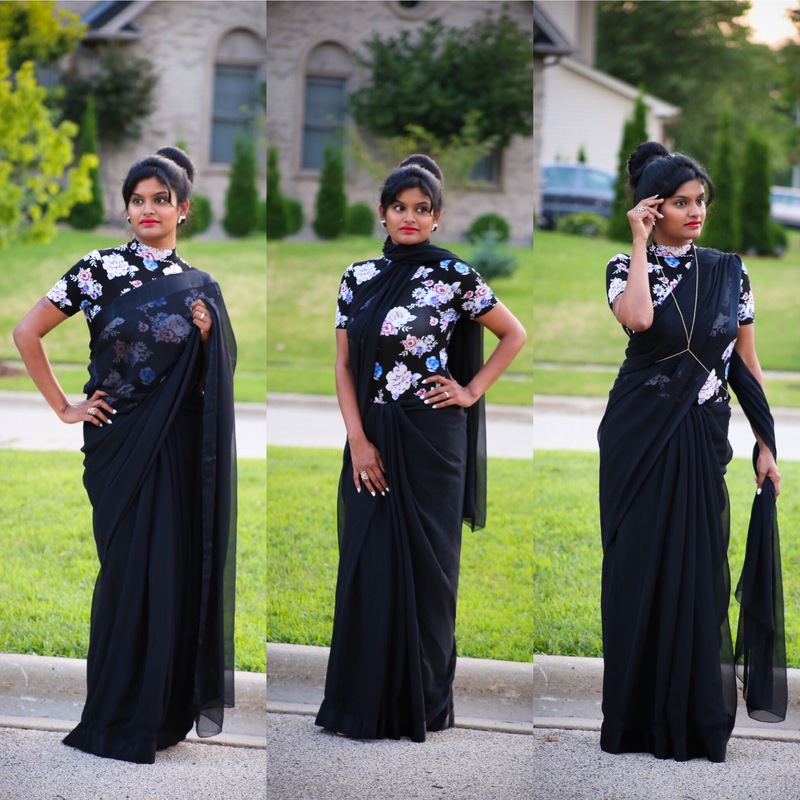 3 different ways I styled this saree ! Hope you liked the way I style this saree. Let me know how did you like it ! Previous Post My Red Affair ! You look so stunning here Swetha. 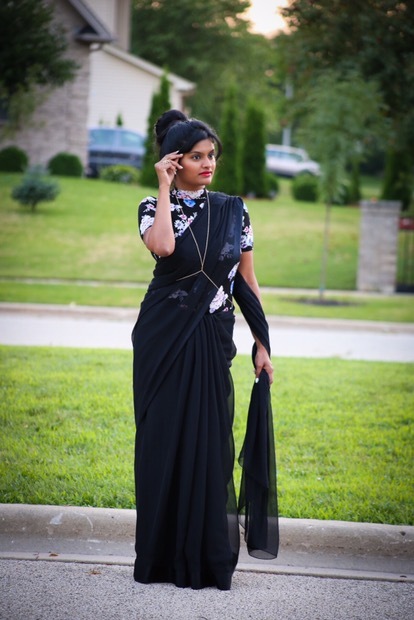 Loved the way you styled this saree. That bodysuit matches so well with the saree.